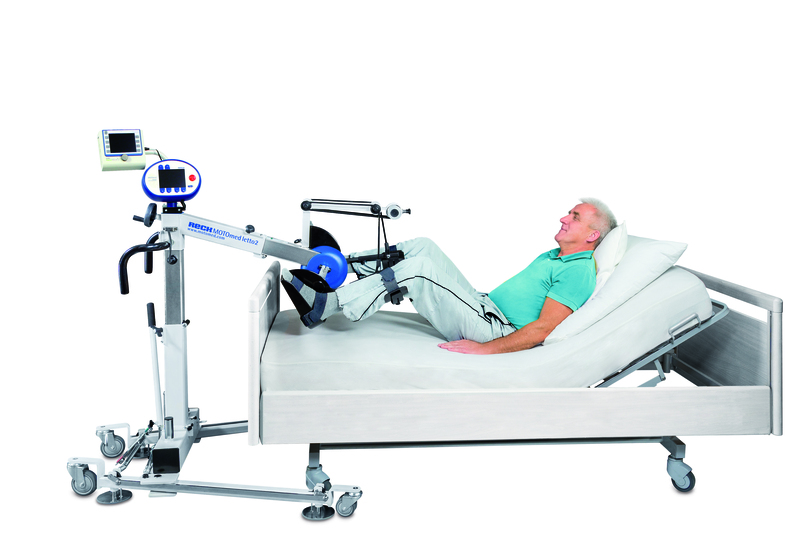 The MOTOmed movement trainer moves a patient’s legs or arms. 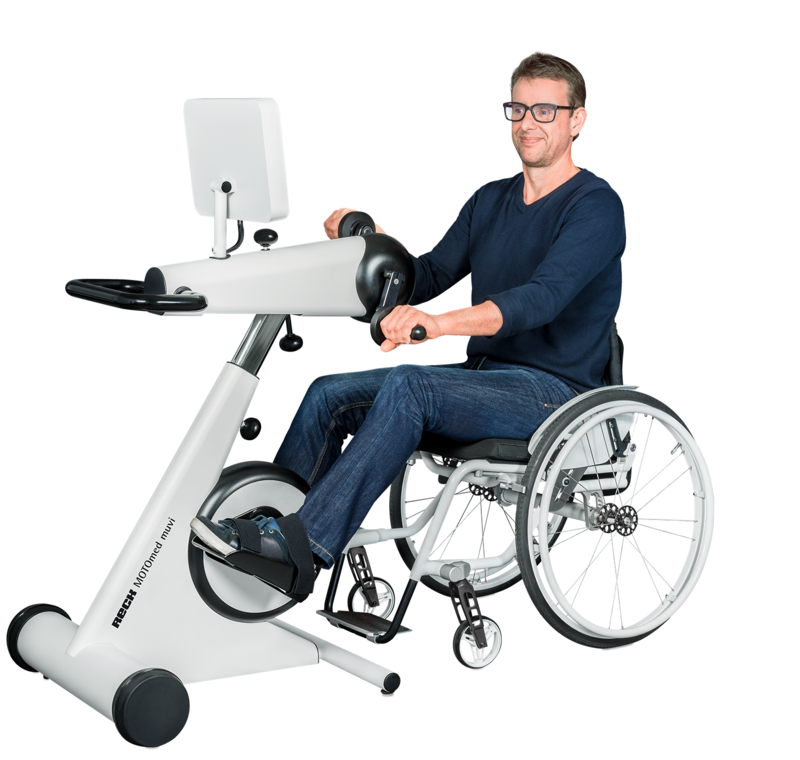 As the individual may select passive, motor-assisted or active resistive training, the MOTOmed allows him or her to use existing muscle strength. The movements are smoothly controlled, similar to bicycling. 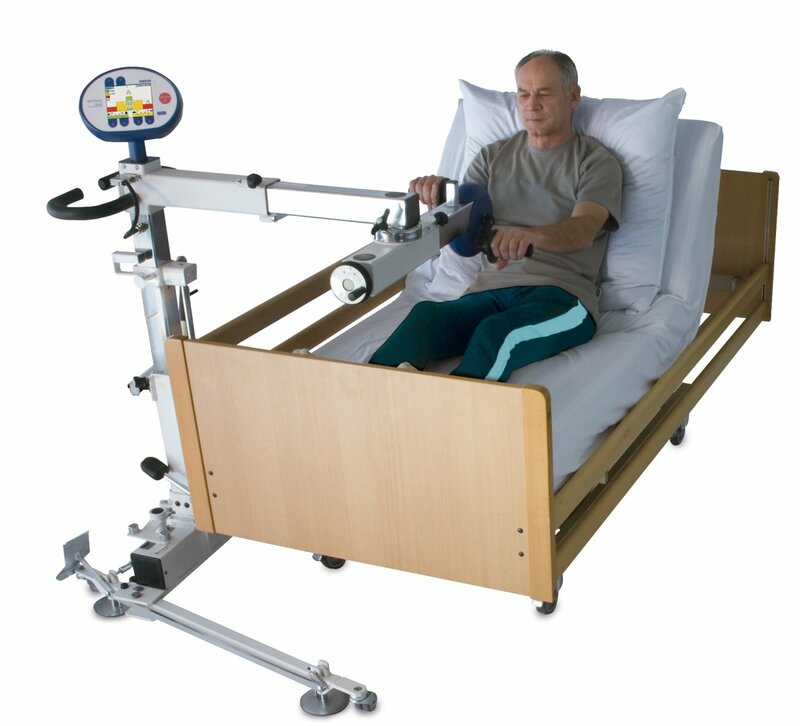 Depending on the model, a person may train from the comfort of a chair, from a wheelchair or even in supine position from the bed.